Kijik Canoe CompanyRecord Owner? Log in. 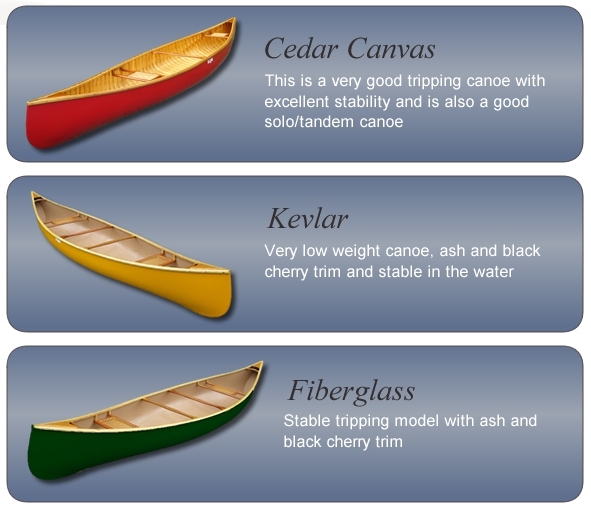 Our fiberglass and Kevlar canoes are trimmed in white ash and black cherry wood. Our cedar canvas have black cherry decks, seats and thwarts . The prices more than compete with other brands. One piece black cherry or butternut paddles are also available to complete your purchase. The canoe has been the most versatile mode of travel in Canada for centuries. For tripping, fishing, hunting or just for a relaxing paddle at dawn through to dusk our canoes permit quiet access to nature and wildlife that is often not possible in other craft. Have something to say about Kijik Canoe Company?